Where Did Our Love Go: Love and Relationships in the African American Community is a critical look at relationships in today’s African-American community. 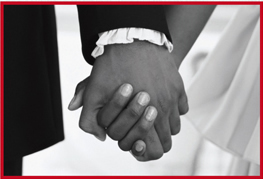 Marriage is an essential part of the vitality and character of a community. For this reason, the decline of marriage rates within the black community in the United States and its potential implications are of real concern. While marriage rates among African Americans have long been lower than those among other ethnic groups, the gap today is so pronounced that it has sparked an intense national dialogue. Where Did Our Love Go offers insights and critiques about African-American relationships today. 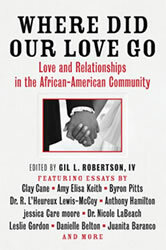 Featuring essays by prominent African-American figures such as soul icon Anthony Hamilton, journalist Byron Pitts, and sociologist Dr. R. L’Heureux Lewis-McCoy, this anthology provides an in-depth discourse on everything from the challenges African-American women face in their search for healthy, sustainable relationships, to the serious implications of an entire generation being raised in mostly single-parent households. Where Did Our Love Go examines an alarming trend and the implications it will have for Black America today as well as in the future. The contributors’ reflections on their own lives and loves provide unparalleled insight into this hot-button topic–in the hopes of generating understanding and healing.